It’s been a little while since I posted about new arrivals, mainly because I’ve been trying to de-book the house a bit – and I *have* been very good about taking as many as I can carry to the charity shop each week. However, a flying visit to Leicester over half term inevitably meant trips to the charity shops there – in particular the Loros and Age Concern bookshops – although I’m pleased to report I was surprisingly restrained! 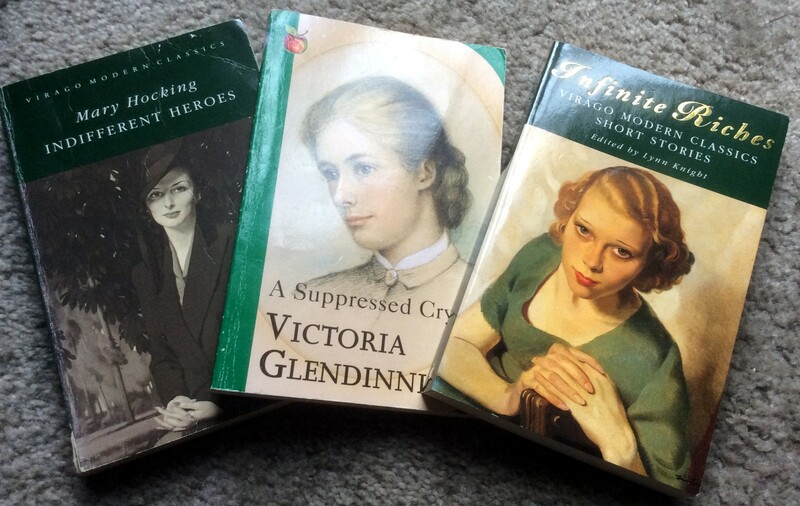 These were my finds – the lovely early green Virago of Surfacing came from the Age Concern and replaced my modern copy (which I’ve donated to Middle Child! ); and the Galsworthy short story collection was from the Loros. 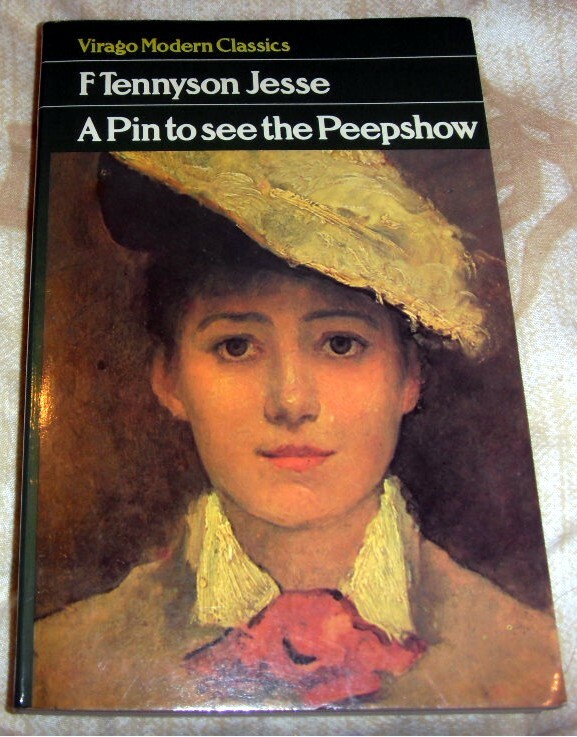 Yes, I know I fell off the wagon with the Forsyte challenge, but I *do* want to return to the books when the time is right. 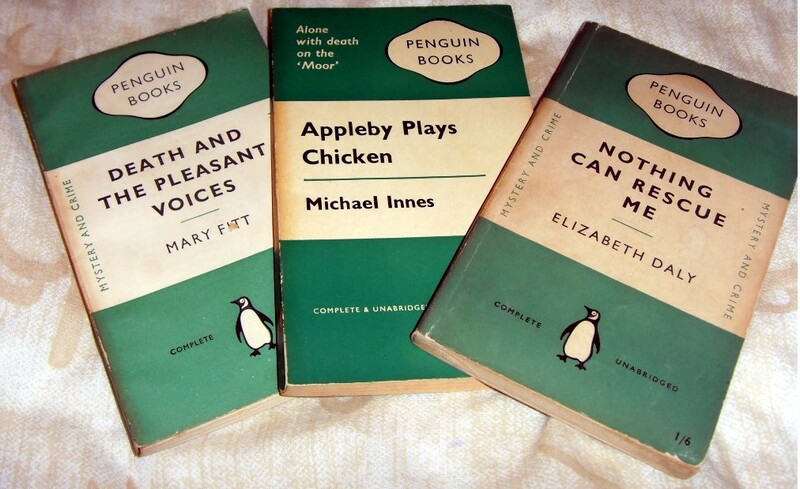 The other two discoveries came from a new source to me – Clarendon Books, just round the corner from the charity shops. Despite numerous visits to Leicester, I’ve somehow never made to this one, which is surprising as it’s kind of perfect. A tiny little shop crammed to the gills with the sort of books I love, I was lucky to get out with just two – a lovely paperback of an obscure Colette I haven’t read, and a book I once owned, The Rivals of Sherlock Holmes. So some lovely Leicester finds! The fact that I already own a battered old Penguin of this is irrelevant… Because if I’m honest I’m actually finding it harder to read smaller, older books with small type, a fact that’s become clear with my recent reading of a particular Hermann Hesse book. This looks to have bigger, cleaner, better set out pages and I think I’ll be more inclined to pick it up sooner because of the relative physical ease of reading it’ll bring. Hope so, anyway! An intriguing little pile, no? So, what to read next! Leicester Comes Up Trumps Again! 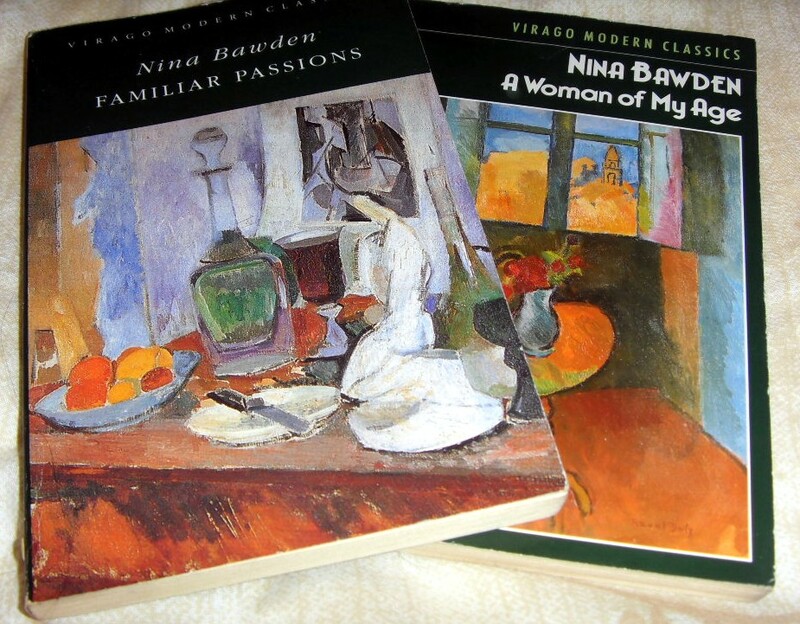 However, en route I got a call from Middle Child who was in the very same shop, and who proceeded to fire off a load of Virago titles at me to see if they were ones I wanted – and three of them were! Left to right, we have a Mary Hocking (Indifferent Heroes), a Victoria Glendinning non-fiction Virago (A Suppressed Cry) and very excitingly, Infinite Riches, a collection of short stories. 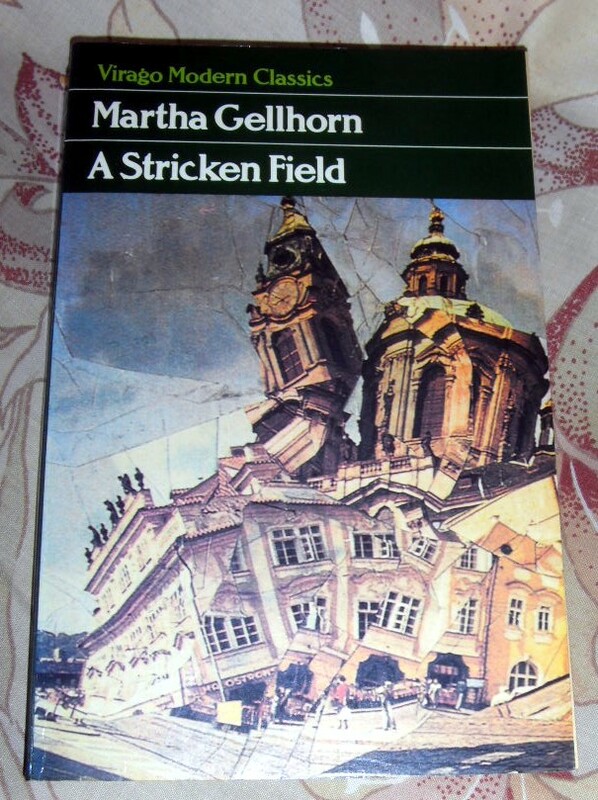 The latter is very existing and timely, as I was only reading about it on Buried In Print’s lovely blog the other day, and this particular copy is in amazingly good condition. So huge thanks go to Middle Child, Ace Virago-Finder! Yes, I *know* there are already two copies of “The Return of the Soldier” in the house; but this is a beautiful, first generation Virago in again amazingly good condition, and well worth 90p of anyone’s money. 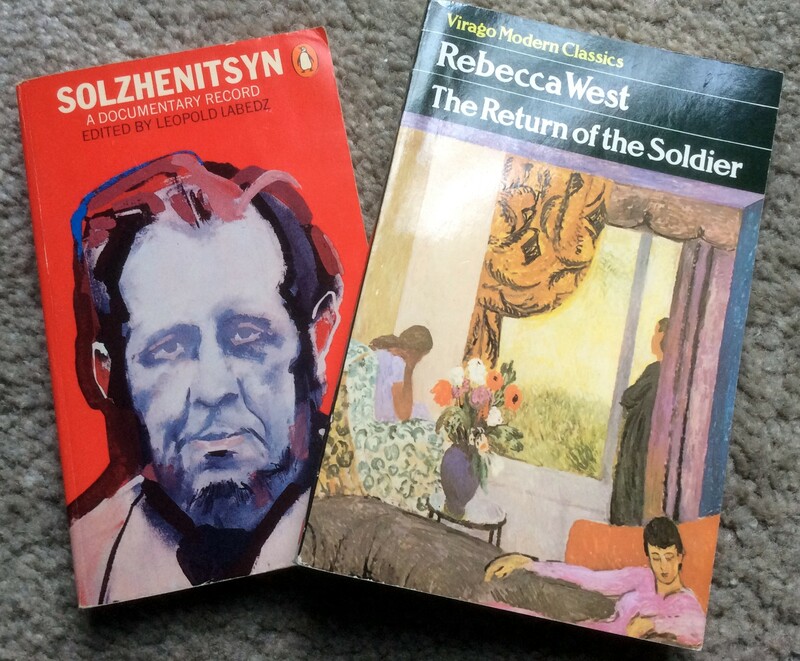 The Solzhenitsyn sounds fascinating – ’nuff said. 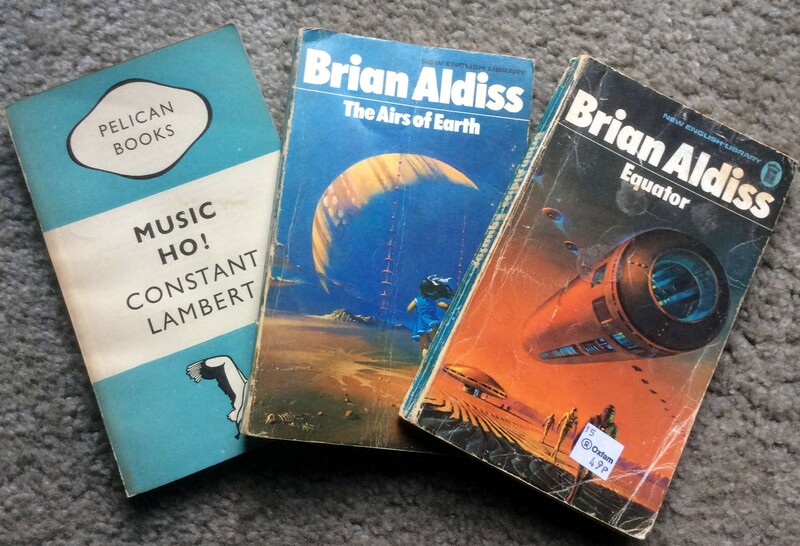 Well, you hardly ever see Aldiss in second hand shops. And I know something about Constant Lambert but I can’t remember what it is – no doubt all will become clear eventually. The question is – what to read next??? Yes, I have been a little quiet here over the last few days as I started off half-term with a flying visit to Northants to visit the Ageing Parents and then on to Leicester to stay with Youngest Child. All three offspring are now based in the city so at least I only have to travel to one place to see them all! I had something of a book crisis before setting off, starting several books and then abandoning them, before settling on taking “The North” by Paul Morley with me. I’ve had this for ages and I don’t know why I haven’t read it yet, so it seemed ideal train reading. One of the nicest things about travelling by train is the time for reading, and there was an added bonus on this journey as I was going via London St. Pancras station which has a lovely and recently opened branch of Hatchards. It looked so appealing as I passed by that I felt I must pop in. 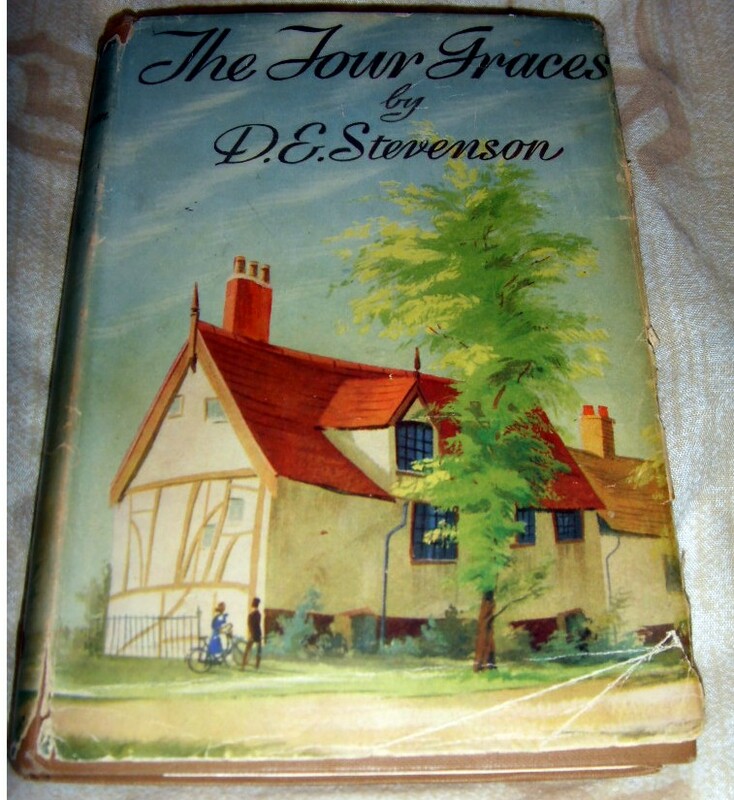 Although it’s small it’s very perfectly formed with lots of judiciously chosen books on little tables just right for enticing the unwary traveller to part with money – which I did, I confess! These are the two books in question – the Lem in particular I have heard much about and been keen on tracking down for ages, but haven’t ever come across. I’ve decided I need to actually read a few pages of a book before jumping in and deciding I want to read it – this may help me become more selective! 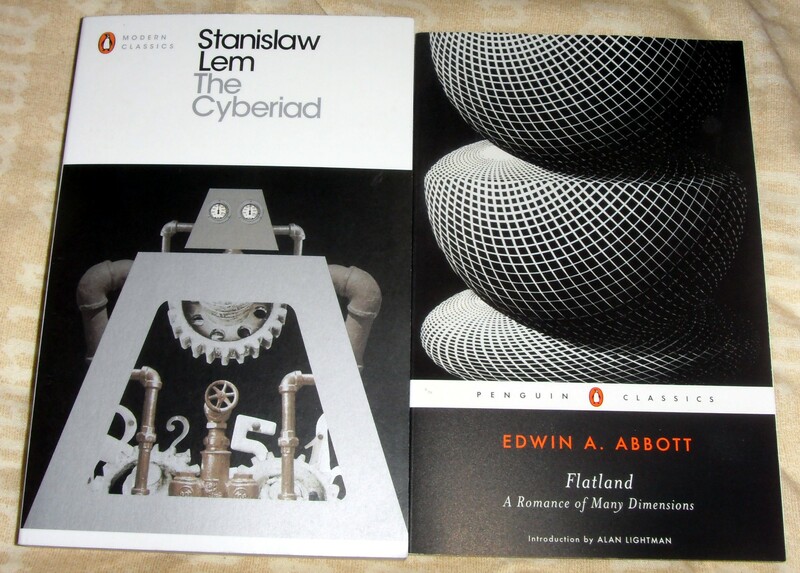 The quick look at the pages of “The Cyberiad” convinced me I should try it, and my eye was also caught by “Flatland” that was sitting next to me. The helpful bookseller assured me her colleague thought it was wonderful and was completely obsessed by it, so I figured I would give it a try! 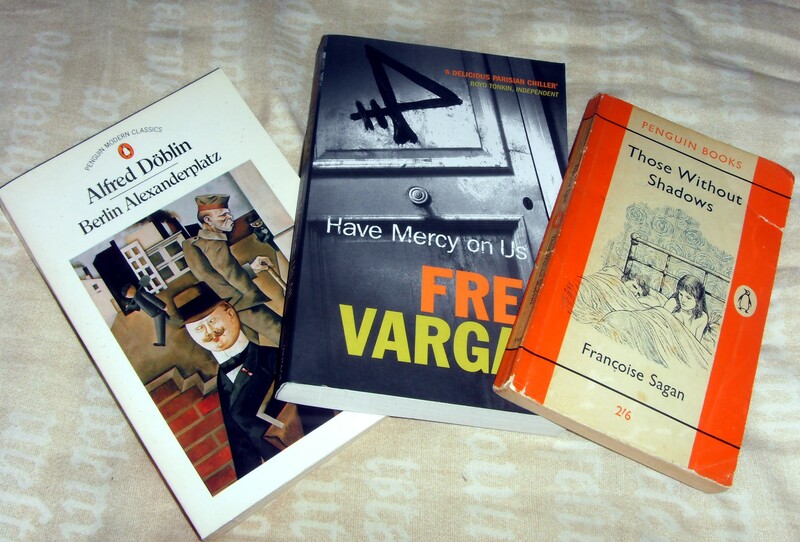 These three were from the Loros: the Fred Vargas because I liked the first of her stories; the Sagan because it’s a lovely old Penguin I don’t have, and the Berlin Alexanderplatz because it will be ideal for German Literature Month! I *could* have picked up many more titles, but I was good! I haven’t forgotten about the giveaway for “On Roads” – in fact, I might well have picked up an extra copy in Leicester so I can give away more than one! – and I’ll be announcing the winners tomorrow – watch this space! A book-buying Jaunt to Leicester! It has been a little manic here lately at the Ramblings – in fact, it’s been a bit of year with family ill-health and changes in personal life, culminating in the tension waiting for Youngest Child’s A level results to see if she has got a university place. So it was rather lovely to take a few days out recently to visit Middle Child in Leicester – which obviously involved a little book hunting also, as the city does seem to be spoiled with charity shops! We also got the opportunity to visit the Aged Parents, who live half an hour from Leicester by train, so that was rather nice too. I took Eldest Child and Youngest Child with me so it was quite a reunion! Another fun extra from this trip was visiting the local art gallery in New Walk and seeing some amazing Lyonel Feininger paintings. And the Richard III dig was close by so we had a quick look at this and the exhibition about the excavations – fascinating! While in Leicester I did have a little bit of a reading crisis, as I had foolishly only taken one book with me to read – Olivia Manning’s “The Spoilt City”, which I finished quite early in the visit (review to follow). I had reckoned on finding a new book or two in Leicester – which I did, but for reasons below, I couldn’t read any of them! This caused much angst as there was nothing on Middle Child’s shelves I hadn’t already read, so I ended up with Christie’s “The ABC Murders” (which I love very much, but didn’t take me long to get through) and then survived on an anniversary edition of New Statesman and Sherlock Holmes stories on MC’s K****e! I was *very* glad to get back to my books! 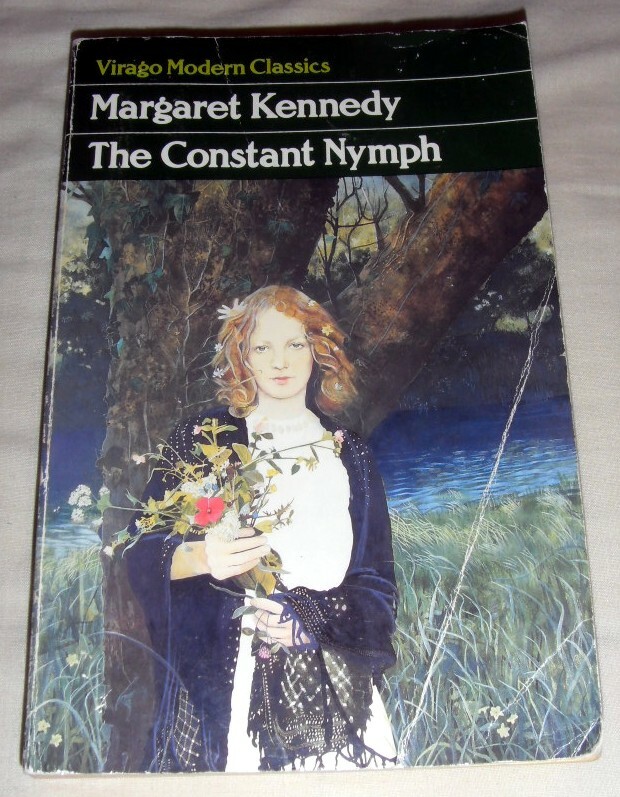 Margaret Kennedy has passed across my radar quite a bit lately so I was delighted to find a copy of her most famous book. It’s been previously well-loved, obviously, but is all intact so I’m happy to give it a new home! 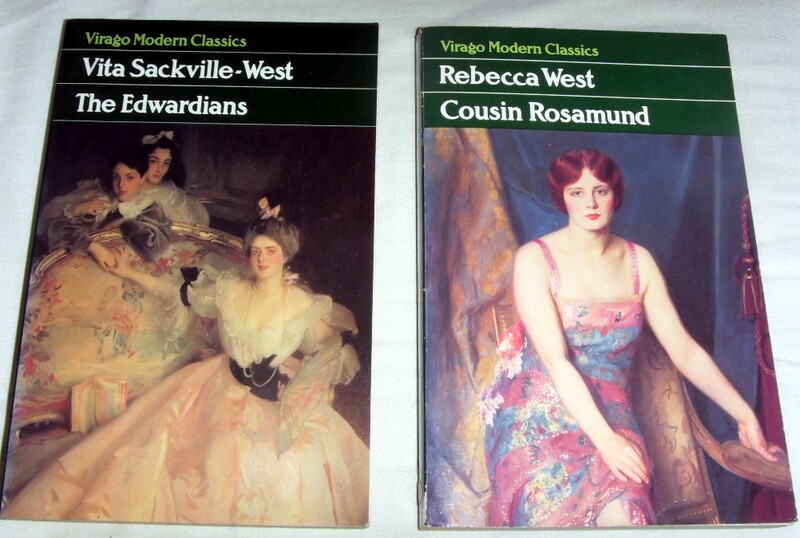 These were my last finds – “The Edwardians” and “Cousin Rosamund” in wonderful condition, for £2 each in the actual secondhand bookshop (which worryingly had a lot less stock than my last visit) I enjoyed my recent read of West a lot so this was a great find! The observant among you might wonder why I couldn’t read one of these when I was having my book crisis – well the Whites and West are later books in a series, and I just didn’t fancy starting one of the others because in truth I was in the mood to read some Graham Greene for SavidgeReads‘ Greene for Gran event. I have now started “No Man’s Land”, a lovely little Hesperus Greene which I am enjoying immensely. 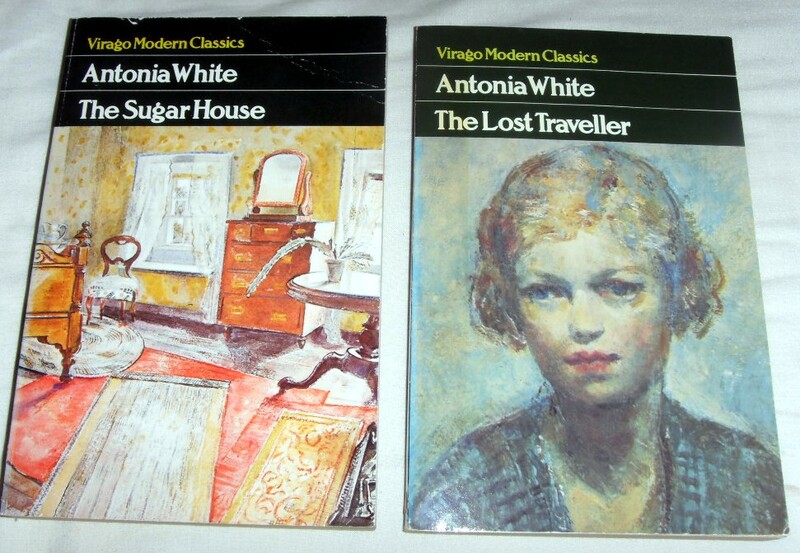 So August has proved to be a good month for Virago hunting! 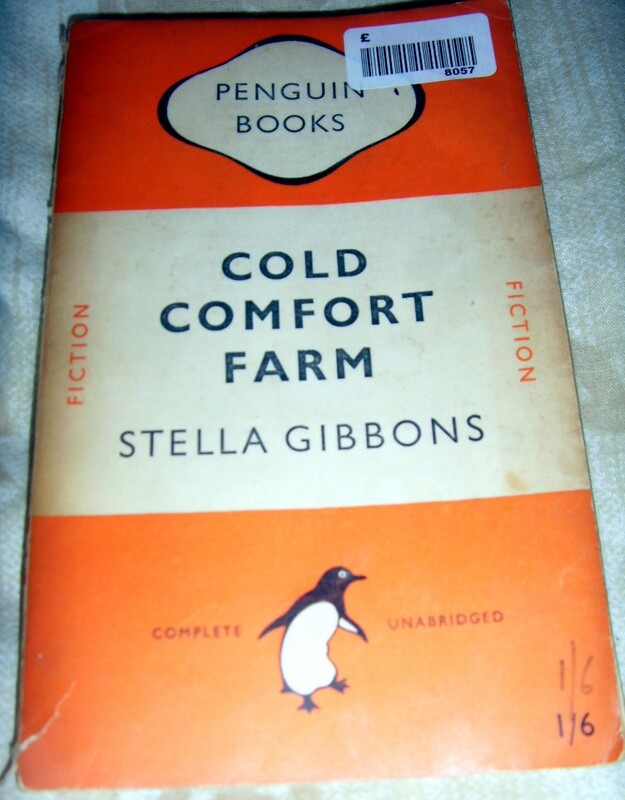 Leicester Lovies – and a few other recent finds…..
First up was this little volume – I already have a more recent Penguin version but it was old and orange and only £1 so I decided it should come home with me. These two greenies came from a different second hand shop in Leicester and as Bawden has been much discussed on LibraryThing recently I snapped them up. Yes, I know I already have this book too – but this was in lovely condition and so I decided to upgrade my copy, and force my spare on somebody else. I haven’t decided who yet, but I may just offer it on LT if I can’t think of anyone else who would like it. Isn’t this pretty? I know nothing about D.E. Stevenson except that she has two Persephones, but I just loved the cover of this and thought that for 99p it deserved a good home. Finally from Leicester, this represents something I found for my Secret Santa Receipient on LT – but I’m not going to give out any clues because it’s a surprise! 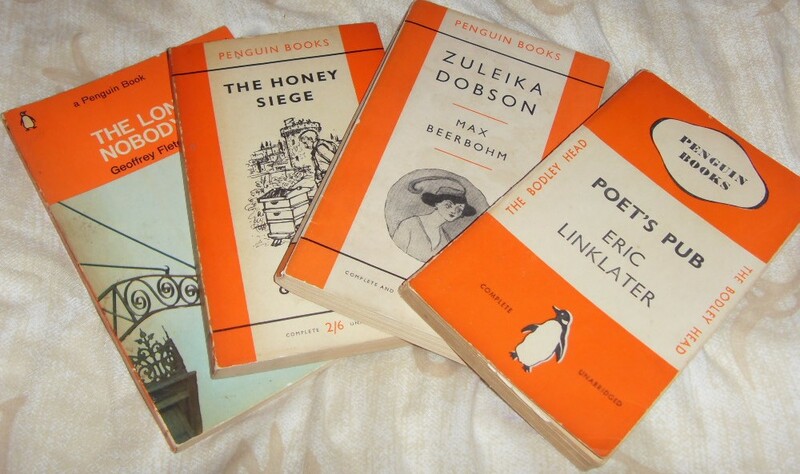 Some Green Penguin Crime to brighten my day – particularly excited about the Elizabeth Daly as I enjoyed her last one so much. To keep them company, some interesting-looking Orange Penguins! This one looks rather fab, I think. 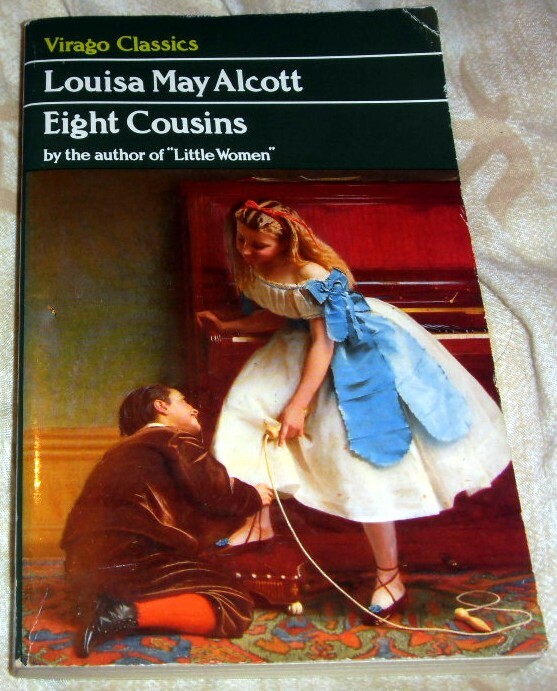 I discovered recently that I had been foolish enough to part with my childhood copies of Little Women and Good Wives. They were only battered old hardbacks with no dustjackets, but I feel a bit sad that the part of me that says I mustn’t hoard too many books won out and I let them go – not even sure when, as many books have come and gone from my collection over the years. So I did a little looking into LMA and came across this – a nice Virago copy of Rose in Bloom is hopefully winging its way to me as I write. Finally, some Bright Young People! 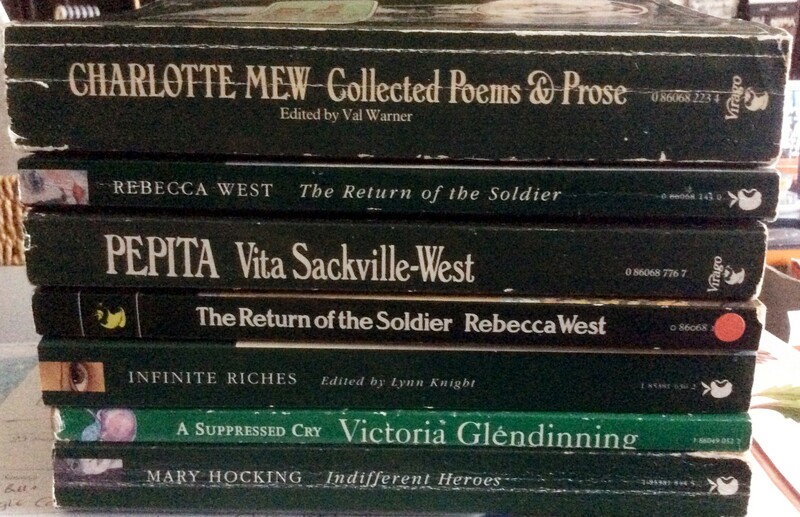 Not all of these are recent – I have had Henry Green on the tbr for a little while – but following on from The Bolter, and reading about Beverley Nichols on the reading1900-1950 site, I did a little researching about the group. The book to read seemed to the volume by D.J. Taylor and I did find a lovely 2nd hand copy! So I have put some of my BYP tomes together and am currently actually reading the Taylor book – first non-fiction for a while! So the Leicester trip brought forth some lovelies which should keep me reading for a while! 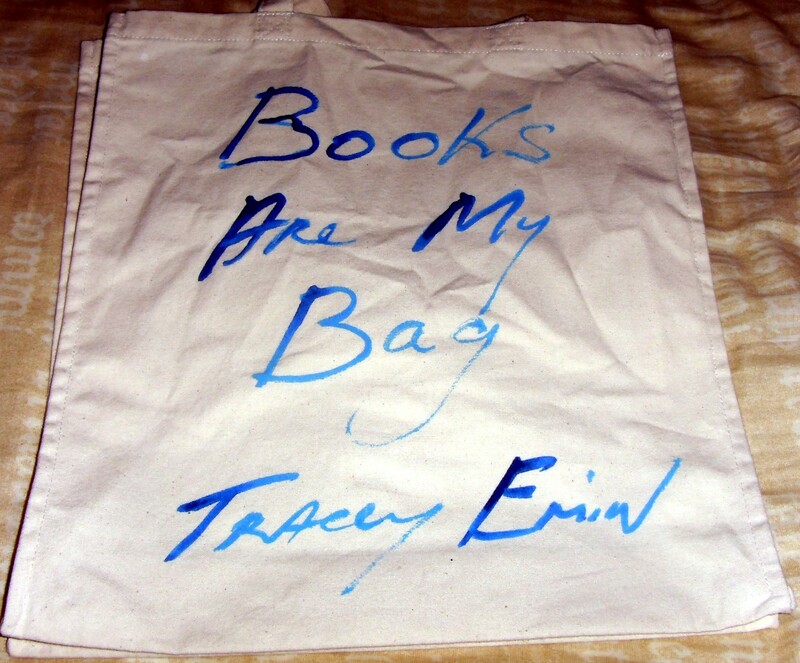 Content copyright © 2012-2019 Kaggsy’s Bookish Ramblings unless otherwise stated. All rights reserved. JESUS' SON BY DENIS JOHNSON on books, yo.